The feeding frenzy reached its apex at the end of the third quarter, when The Citadel defense sacked Gardner-Webb quarterback Lucas Beatty on three straight plays. Defensive end Mark Thomas broke free to sack Beatty on first down; tackle Mitchell Jeter bulled his way to the QB on second down; and defensive end Justin Oxendine got Beatty for an 8-yard loss on third down. And on fourth-and-35, Gardner-Webb punted. 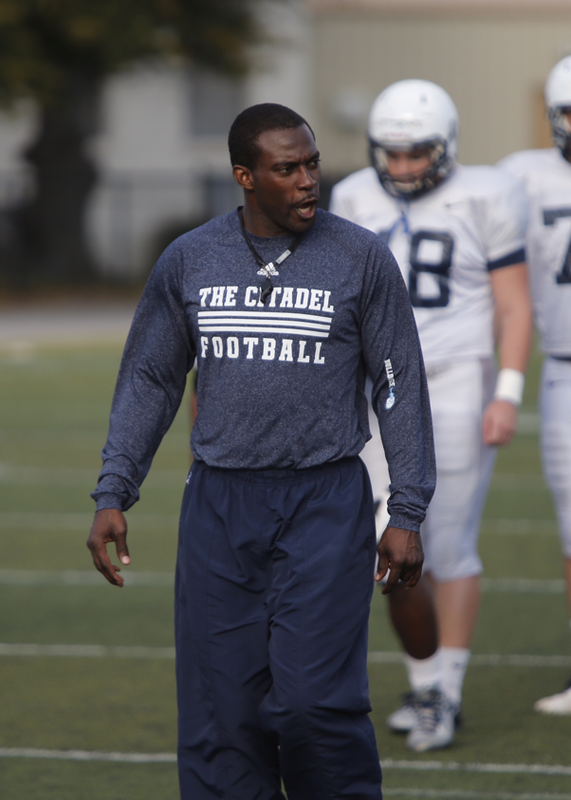 All told, The Citadel racked up a school-record 10 sacks. That’s two more than the previous Citadel mark of eight sacks, reached three times, most recently in 2005 against VMI. Jeter had 2½ sacks, while linebacker Tevin Floyd, Thomas and Oxendine had two each. Linebacker Carson Smith had the most costly sack, a strip-sack that led to a fumble and The Citadel’s first forced turnover of the season. And freshman lineman Jonathan King chipped in with a half-sack. Gardner-Webb had two starting linemen out with injury, but it was still a remarkable performance. Wofford had just one sack of Beatty in last week’s 43-36 loss to Gardner-Webb. All told, The Citadel had 12 tackles for loss and held Gardner-Webb to minus-2 yards rushing, tied for the third-lowest total in Citadel history. Gardner-Webb coach Carroll McCray said Smith’s strip-sack was huge.